Mrs. Parker’s 1949 play never made it to Broadway. This excellent edition, with a thorough and graceful preface, is its first publication. The play is about a favorite subject from the 1940s, the story of Charles and Mary Lamb, which is one of insanity, alcoholism, murder, and loyalty. Using Evans’s research, Parker created a play incorporating much actual material from the Lambs and their circle (Coleridge, Hazlitt, DeQuincy). The resulting work is powerful and literate. It is not, however, a masterpiece. It is too long; the performing version was one-third shorter. Its dramaturgy is based on Ibsen, which makes it outdated for its time. But Parker, using her own life’s struggles, infuses the play with feeling. 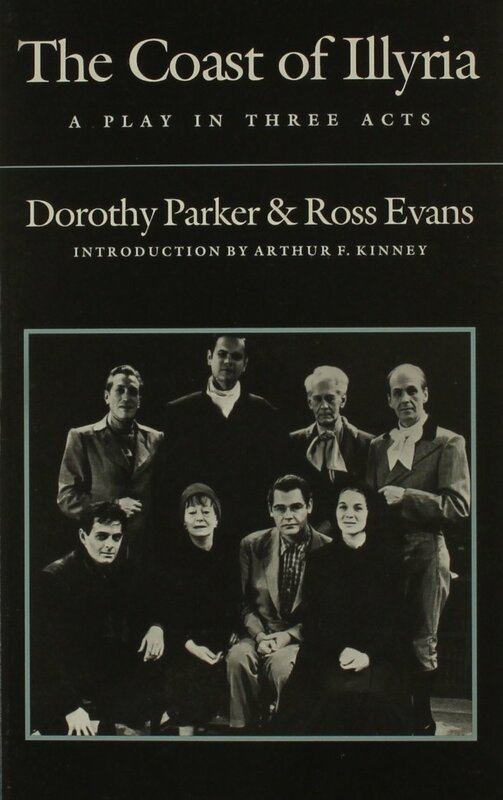 The last major project that Dorothy Parker undertook late in her life was The Ladies of the Corridor, a drama that had a brief run of just 45 performances on Broadway in the fall of 1953. The play has been out of print for more than 50 years; in May 2008 Penguin Classics brought out a new edition. 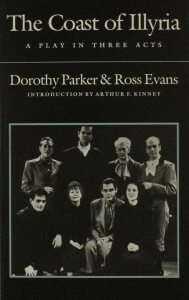 The book has an introduction by Marion Meade, Parker’s biographer and editor of The Portable Dorothy Parker. Read the Marion Meade Q&A — Arnaud d’Usseau Q&A — Book Review. This slim paperback is a detailed biography of Dorothy Parker, and an overview of the characters in her stories. Perfect for students who must write research papers on her. The e-book contains a letter Dorothy Parker wrote from Switzerland when she was living with Gerald and Sara Murphy. The letter is a classic. She namedrops notable figures like Ernest Hemingway and Scott and Zelda Fitzgerald while covering topics running from her various accidents and health problems to her opinions on dogs, literary critics and God. The writing is vintage Parker: uncensored, unedited, deliciously malicious, and certainly one of the most entertaining of her letters—or for that matter any letter—that you’ll ever read. The e-book contains a magazine article biographer Marion Meade wrote about Dorothy Parker and her friend, Lillian Hellman. In the article, Meade shares insight into the last days in the life of Parker—the horrible and the hilarious—including her colorful friendship with Hellman, and the bizarre afterlife of Parker’s remains from a filing cabinet on Wall Street to a small burial site by the NAACP office in Baltimore.